With Earth Day coming up this weekend, today we are sharing the second post in our new series of simple challenges to encourage you to live a more eco-friendly lifestyle. If going green is already a priority of yours, you may have heard recently about the big campaign going on to stop the use of disposable plastic straws. Single use plastic is extremely wasteful in general, since plastic does not naturally degrade or break down on it’s own. But whereas more than three quarters of the disposable plastic water bottles used are recycled, plastic straws are typically thrown straight into the garbage can after a single use. According to the Plastic Pollution Coalition, 500 million plastic straws are used and discarded every single day in the United States. (Kind of crazy, right?!) Some cities (including Seattle, Miami Beach, and Malibu) have already passed laws to ban or limit single-use plastic straws. But until the rest of the world catches up, there are some steps every individual can take. When it comes down to it, plastic straws are simply not necessary. You can still enjoy any drink sans straw. It’s as simple as saying, “no straw, please,” when you order at a restaurant or coffee shop. If you want to take it one step further, you can also encourage local eateries to only serve straws upon request or start handing out paper straws instead. If you really do enjoy sipping through a straw, be sure to bring a more eco-friendly alternative along with you. 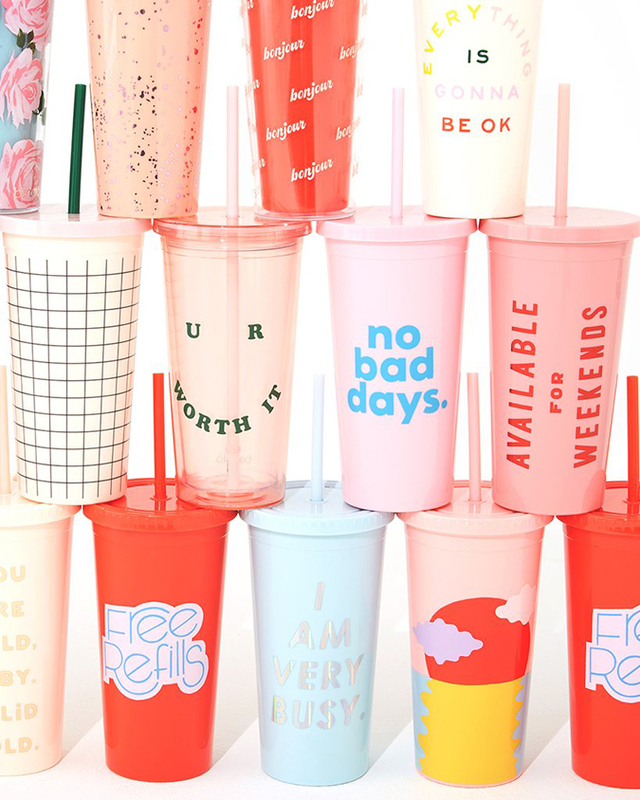 Purchase a reusable straw cup (like these adorable tumblers from Ban.do) or a reusable acrylic or stainless steel straw. They even make special straw brushes to make washing your reusable straws easy, so you have no excuses there! If you absolutely need a disposable straw, stick a few paper straws in your purse or your car’s glove box (bonus points if they’re blush pink). Will you join in on this eco-friendly challenge? Our editors are all in, and we hope you are too!